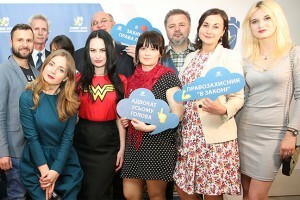 Oleksandr Klymenko: Helping people should be beyond the policy ⋆ News ⋆ Official website for Oleksandr Klymenko. Oleksandr Klymenko – the founder of the initiative “Restoring Donbas” – wrote on his Facebook page about incomprehension of the position of Minister of Social Policy, which has announced the termination of cooperation with the organization. Oleksandr Klymenko states that experts and volunteers of “Restoring Donbas” has repeatedly consulted specialists from the Ministry of Social Policy, gave their offers on improving the social protection of people, carried out joint events. For instance, in September, it was launched important and necessary project for tax advice to entrepreneurs in Ukraine and those, who are just starting their own business. “If the state can not provide work places, how can we solve the problem of employment in other way?! The most important thing is – the staff of employment centers really understand the results of our common work. Moreover, it is working with us! Suddenly, today, more than a year later, profile Minister decided that it was “a provocation” – says the politician. 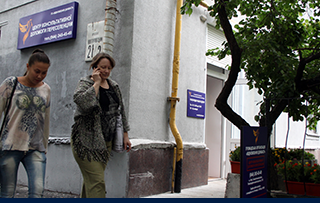 Oleksandr Klymenko emphasizes that during the operation of the initiative more than 60,000 of concerned people, who want to help fellow humans, joined us. “The initiative” Restoring Donbas” is beyond the politics. It proceeds to provide assistance to all who need it! Together we can do more! “, – assured politician.